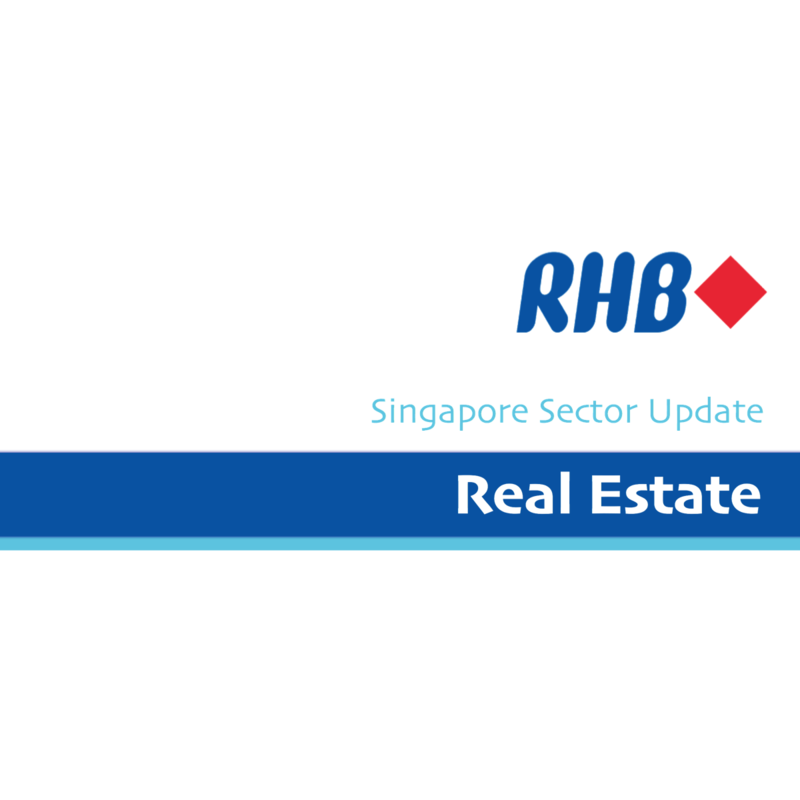 Real Estate - RHB Invest 2018-04-10: Are We Nearing The Peak Of The En Bloc Cycle? Real Estate - Are We Nearing The Peak Of The En Bloc Cycle? While the en bloc market has staged a stellar comeback since May 2017, we believe that the current cycle is nearing its peak and is expected to slow down by 2H. Key reasons for this are steady build up in supply pipeline, rising land costs, tighter policy framework and sufficient restocking of landbank. Moving ahead, we expect developers to be selective in their bids with preferences for relatively smaller and well-located sites. Overall, we expect property prices to jump 5-10% y-o-y in 2018, but we remain cautious on a longer-term sustainability of such price increases. Maintain OVERWEIGHT, with APAC Realty and CapitaLand as Top Picks. Developers fatigue slowly setting in. Many developers have sufficiently restocked their landbanks. Developers are also keeping an eye on the sites that would be made available in the 2H18 government land sales programme (to be released in June). While we expect the overall en bloc value to surpass that of last year, we expect the market to peak by 2Q-3Q18.The fatigue is starting to be reflected in the premium developers have paid over the reserve price, which has halved to 5% this year compared to 10% in 2017. Tighter policy measures lowers en-bloc projects’ attractiveness. Tightening of development bank loans by the Monetary Authority of Singapore (MAS). Developers are also bound by the additional buyer’s stamp duty rules – by which they have to build, develop and sell the entire project within a 5-year time frame, or face a stiffer 15% penalty. We believe that the above measures would result in the developers shifting their preference towards small- to mid-sized sites that have good location attributes and amenities. Near-term outlook is positive, long-term sustainability remains uncertain. Overall, we expect residential prices to rebound by 5-10% in 2018 (from 3-7%) as the near-term market remains well supported with ample liquidity from en bloc sales, a lower unemployment rate (2.1%) and higher GDP growth. However, we remain cautious on the longer-term outlook and sustainability of steep price increases, as key long-term factors such as population growth (tighter immigration policies), rental market and divergence in Housing Development Board (HDB) resale flat prices (which are still declining) remaining weak. Additionally, the possibility of faster rate hikes and a volatile global macroeconomic environment also poses a threat to smooth recovery. We expect transaction volumes to remain robust (10- 15% higher in 2018) supported by en bloc demand and GDP growth. APAC Realty is the Preferred Pick in this regard, benefitting from higher primary and secondary volumes. In the big-cap space our Top Pick is CapitaLand, as we see it as a laggard play. The company has also been actively addressing market concerns by rationalising its China portfolio, boosting ROE through an asset-light approach and actively recycling its capital on higher-yielding assets. City Developments is also expected to benefit from its strategic land banking and the better outlook for its hospitality portfolio. En bloc analysis – driven by local developers with a good mix of freehold and leasehold sites. Respective low-geared balance sheets with a majority of developers still booking net-gearing levels of below 1x. The en bloc sites were also a balanced mix of freehold sites (52% of transaction value) and leasehold sites, indicating that developers are now placing equal emphasis on location attributes and amenities. Near-term supply palatable but long-term pipeline building up. Private home supply hit its peak in 2016 and 2017, with nearly 20,632 and 16,215 homes completed respectively, compared to the 10-year average of 11,903 units. Looking ahead, 2018 and 2019 are expected to see units completed halve to 14,764 and 8,760 units respectively. This compares favourably with the 10-year average demand of 10,603 units. Vacancy rates have relatively moderated to 7.8% as at end-2017 (peak vacancy 8.9% in 2Q16), but are expected to remain high as the market digests the completed supply that came on stream amidst tight immigration policies. Overall, we expect rental rates to stay flat and vacancy rates to remain elevated at around 8-9% for 2018. The weak rental market and increase in interest rates remain potential bugbears to a smooth recovery in the residential market, in our view.